One of the permaculture principles that I continue to work toward more fully integrating into my garden is to reduce importing energy and materials from outside our property. For the last couple of springs, I have purchased hay bales to use as mulch in the garden. It's locally sourced, and I organize my neighbors to have a large truckload delivered to our block, so it's a fairly efficient and cost-effective way of getting mulch for lots of people. Still, I've been thinking of how I can use what I have or can get my hands on locally that will serve the same purpose. This weekend I found a great source of mulching material that is nearby and easy to gather. You of course know of the "manna from the sky" that happens in the autumn, as the leaves fall to the ground. However, our backyard doesn't have a lot of trees, and our neighbors leaves mostly fall into their yards. But as I looked around my street, I noticed that some of my neighbors were piling their leaves on the curb to be collected by the city. 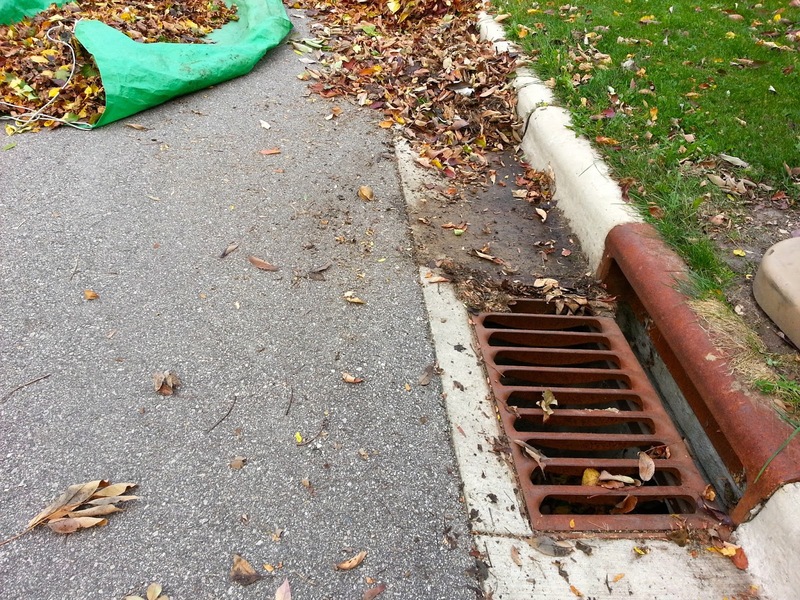 I also saw a lot of leaves in the gutters, just waiting for a rain to wash them in the storm sewers and out into our lakes. 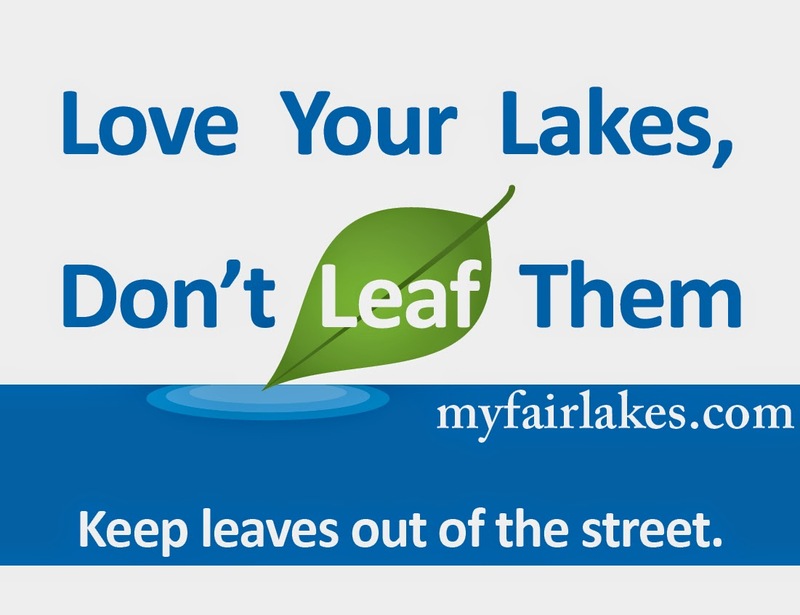 Here in Madison, we have a "Don't leaf our lakes" campaign to encourage people not to put leaves in the gutters because they add significant source of pollution to our lakes. So this afternoon in about an hour, I accomplished to wonderful things; I easily collected a lot of leaves that had gathered in the gutters, and for my small part, remove these from the potential of washing into the lakes. 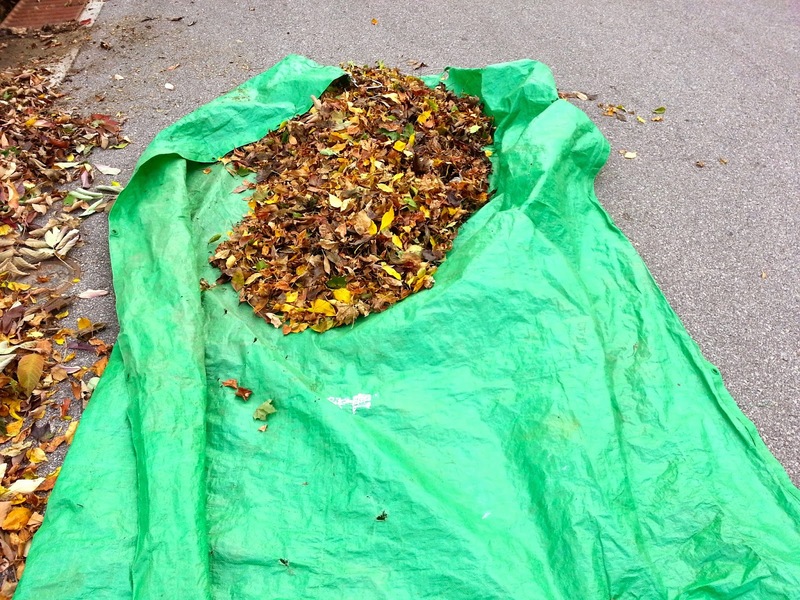 I found it very easy to rake leaves into piles right there in the gutters. Way easier than raking the lawn! 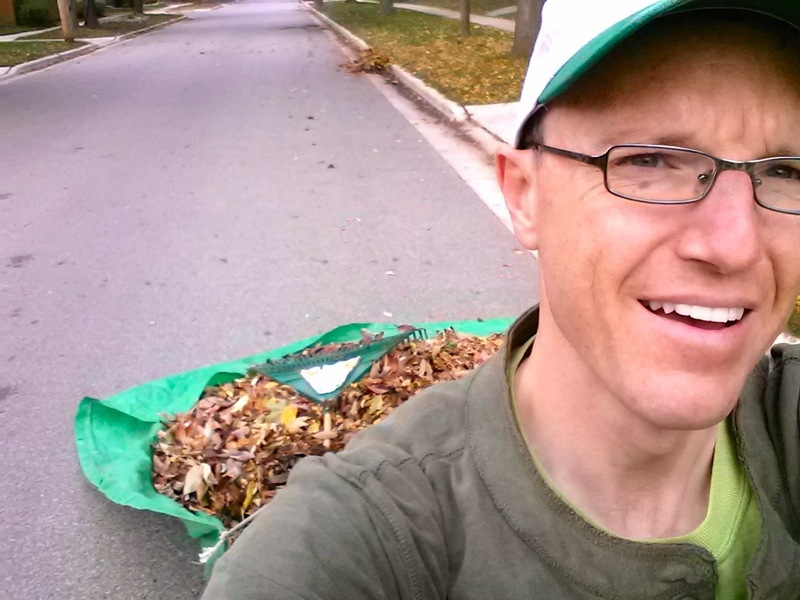 Some of the leaves were a little wet, and I had to scrape them off the pavement, but it was a relatively easy task. Then I brought out my trusty tarp, and loaded it up from the piles I made. 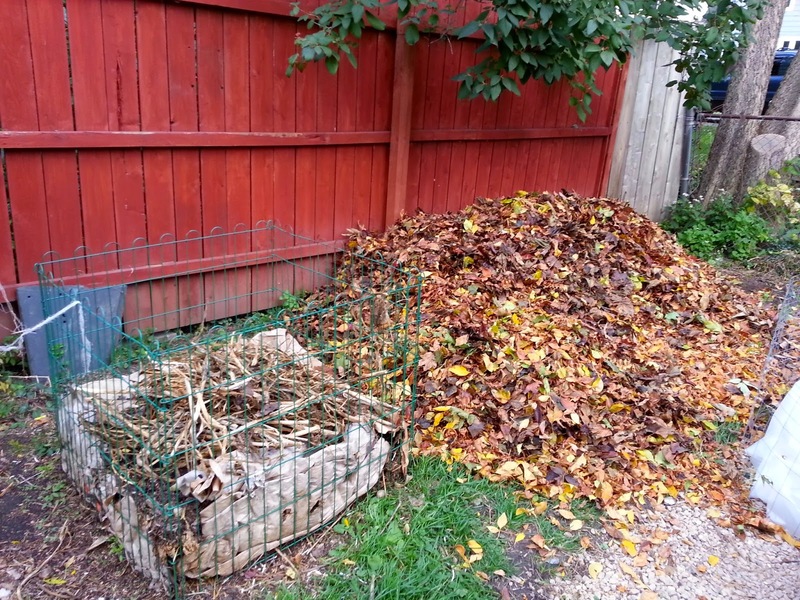 I then hauled my leaves into the backyard. The tarp had grommet holes and I put a long nylon rope through several of them on one side. I was able to loop the rope around both my shoulders and just haul them like they were a big, heavy cape behind me. I dumped them in a corner of our back yard, where I will run over them over with our electric lawnmower, put them into compost bins, add coffee grounds, mix and wait for the magic to happen before using this compost next spring for mulch around all my veggie plants.